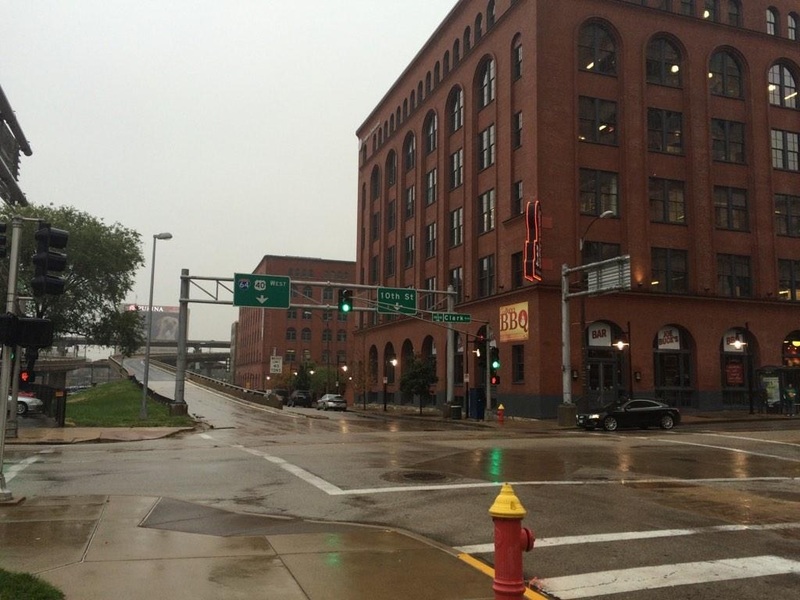 There was a double shooting Friday afternoon at 18th Street and Chestnut in downtown St. Louis. The deceased victim was wearing an ankle monitoring system. He was known to law enforcement and to Fourth District Officers. The deceased victim was wearing an ankle monitoring system and was known to law enforcement and to Fourth District Officers. This was the second shooting victim this week where the victim was wearing an ankle monitoring system. On Wednesday 18 year-old Vonderrit Myers, Jr. was shot dead by a police officer in St. Louis City Wednesday night. Myers, Jr. reportedly shot at the officer three times during a chase before he was gunned down. A 9mm Ruger was recovered from the scene. The gun was stolen. Venderitt was also wearing an ankle monitor.